In exactly one week, I’ll be packing for a trip to Chicago (my first). In order to hold off my excitement and focus on all that needs to get done before then, I present this week’s distractions. Makes perfect sense, I swear. 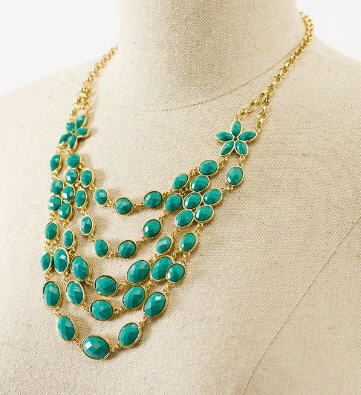 This Necklace: I’m a fan of sparkly things, especially when they’re dripping in jewel tones and add drama to an otherwise basic outfit. This pretty little thing has graced my neck a few times recently, and I always receive compliments for its stunning design. Side note: Francesca’s Collections is deserving of its own WO post. Just ask The Budget Babe! ANIMALS TALKING IN ALL CAPS! 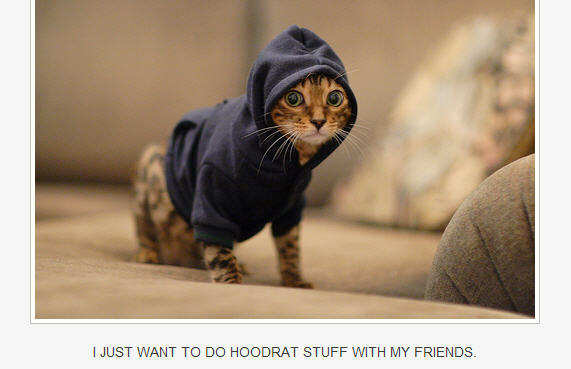 : A dear co-worker of mine shared this site with me recently, and I have fallen in love. What’s more precious than cuddly animals? * Cuddly animals TALKING AT YOU IN ALL CAPS! The captions are hysterical, although sometimes graphic. And if you don’t understand this one, watch this. Dine Tampa Bay’s Restaurant Week: Between Aug. 19 (so, now) and Sept. 2, Tampa Bay-ians can enjoy specially priced three (or more) course meals from area restaurants. 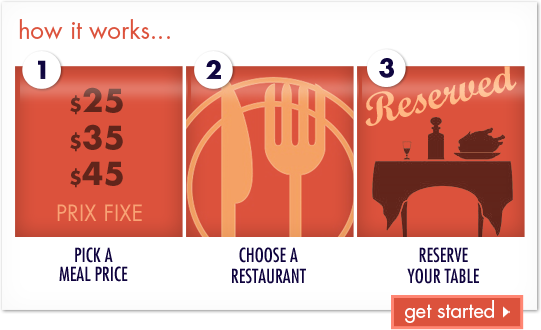 You can reserve through the site or on your own, but anything with a foolproof process that leads to fine dining is right up my alley. I enjoyed the deal at Bella’s Italian Café tonight — mangia! Back-to-School Commercials: Although my Facebook and Twitter feeds have been flooded with BTS messages, I’m still smiling. The commercials from Target are fantastic, especially when one of my cubemates insists on singing the Art Teacher song all day long. Special shout-out to my many family members (I think 11?) and friends (hundreds?) who are educators. Without you, nothing is possible. *Not all animals featured are in fact, cuddly. 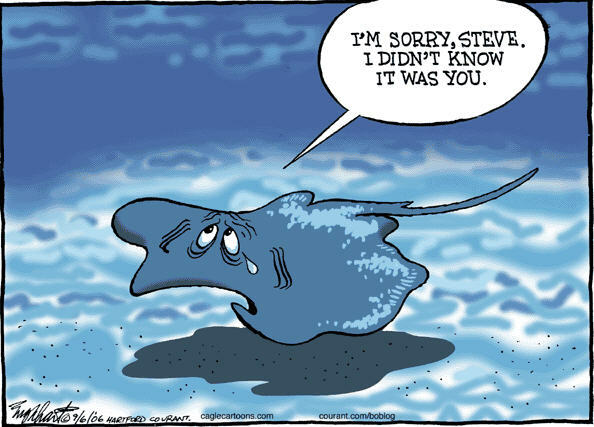 Please don’t think the stingray is cuddly, kids — lest we forget Steve Irwin’s untimely demise. Too soon? rachel says : 08.25.2011 at 7:45 am.p. wittyburg says : 09.05.2011 at 10:18 pm.p. Shaun White hoodies and DENIM!